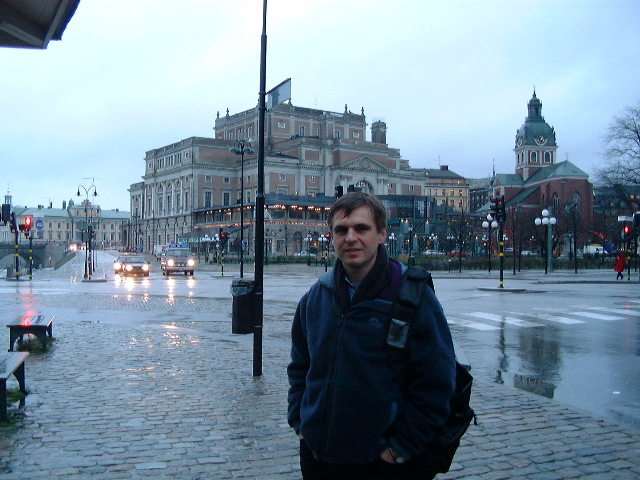 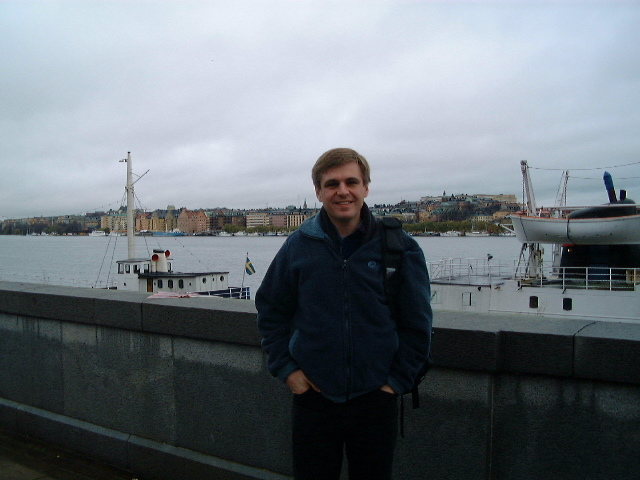 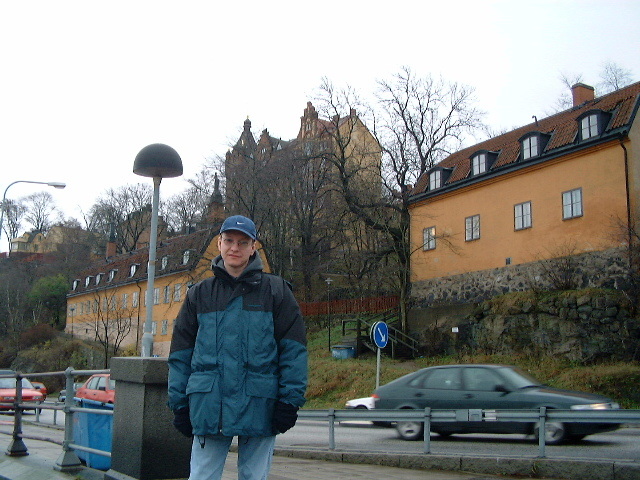 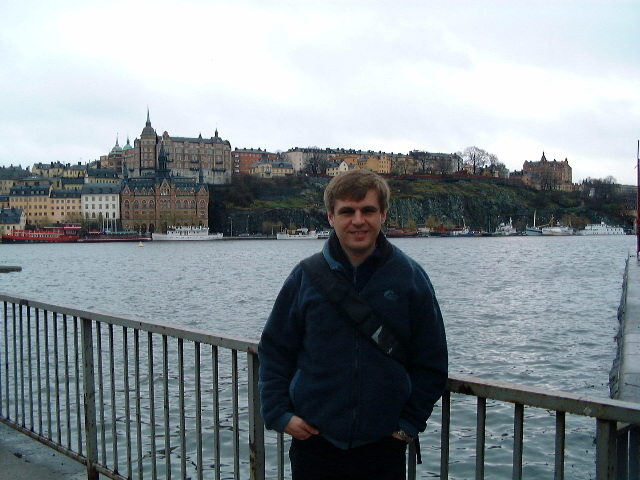 Page 1 of 4 Chris in rainy Stockholm. 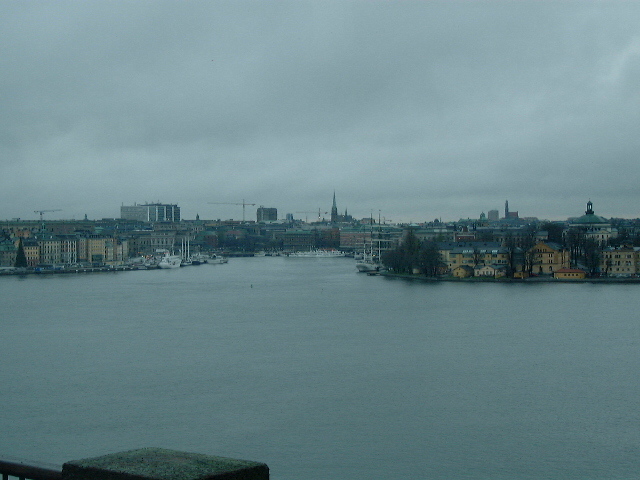 Andy over looking rainy Stockholm. 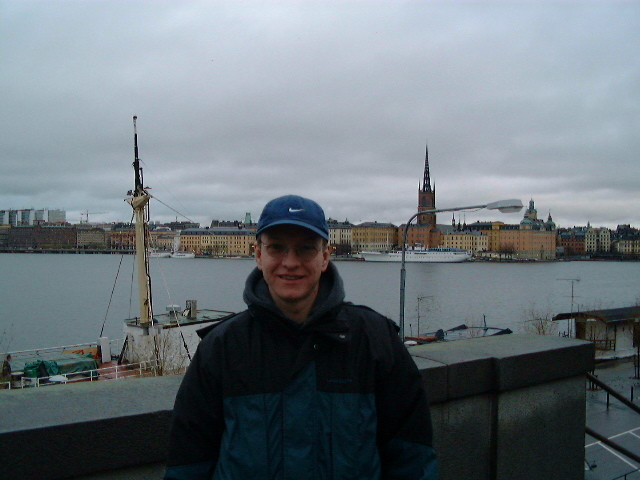 Chris by the river in Stockholm. 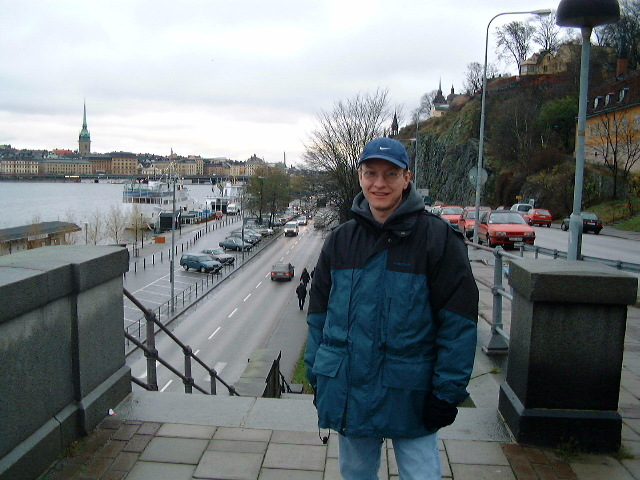 Chris on a bridge in Stockholm. 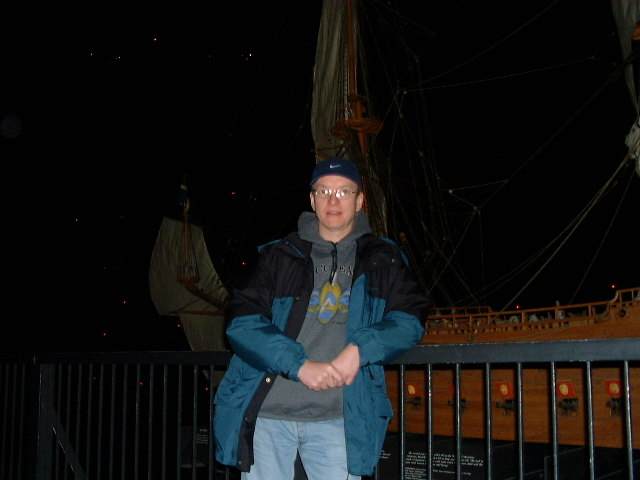 Andy in the Viking ship museum in Stockholm. 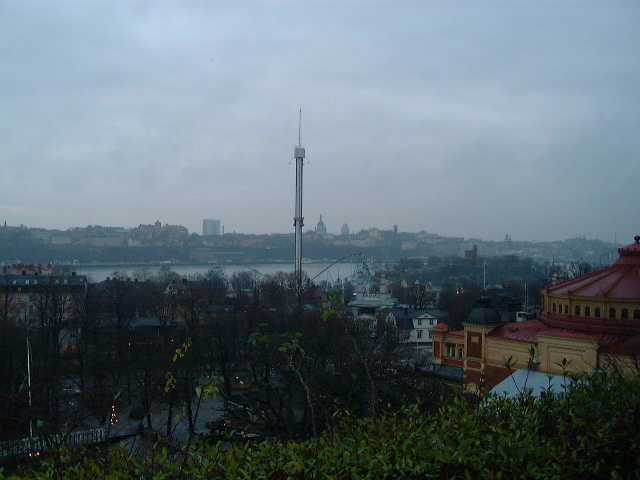 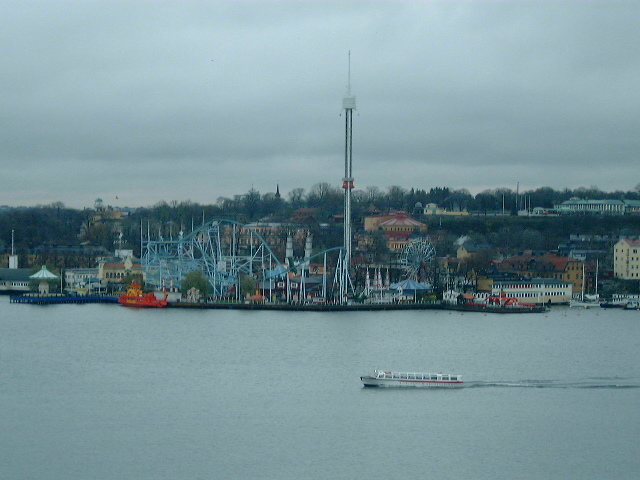 View from Skansen museum of historic buildings, Stockholm.